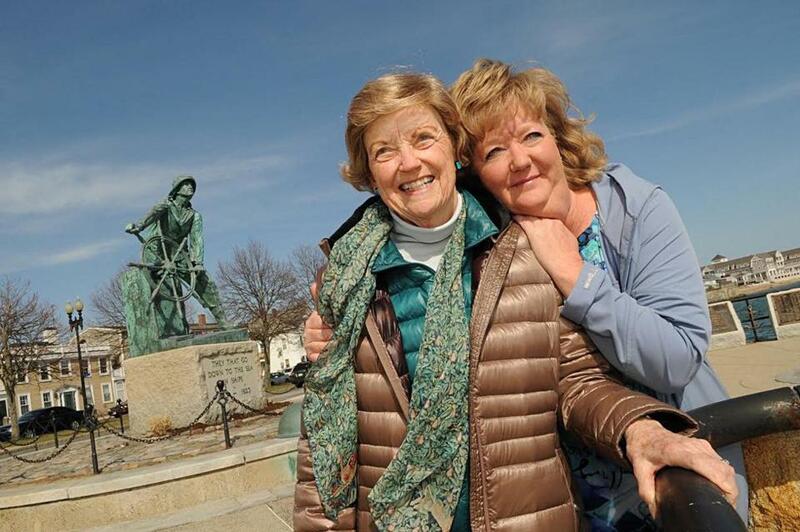 Catherine Gunn and her mother, Kari Gale, take a walk along the Gloucester waterfront. ‘New Zealand, South Africa, Banff, Sweden, Hawaii, Berlin,” Catherine Gunn reels off as she recalls past trips that she and her mother, Kari Gale, have taken together. The two have been enthusiastic travel companions dating back to their New York City forays when Gunn was a teenager. But recently their quality time together has changed in focus. After being diagnosed with ovarian cancer in February, Gale, 79, has relied on her daughter, as well as other family members, to keep her company during regular trips from Gloucester, where both women live, to Massachusetts General Hospital for chemotherapy treatments. It may not be as glamorous as traveling the world, Gunn concedes, but it’s still quality time. 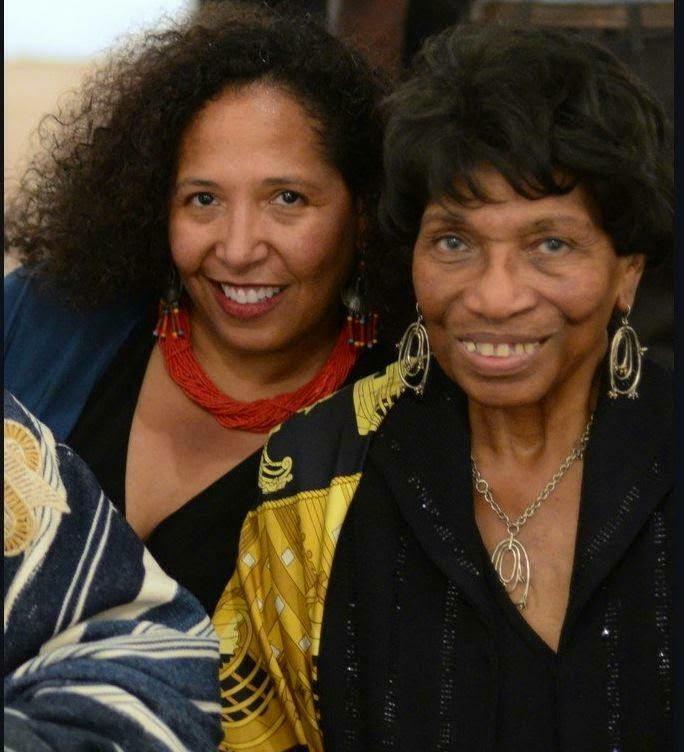 “I’m honored and privileged to have had a strong relationship with my mother throughout my 50 years, and to be able to be here now helping and supporting her through this,” Gunn said. As Mother’s Day approaches, mothers and daughters all over Greater Boston were glad to discuss the activities they enjoy together — from theater-going to horseback riding to museum visits to trying new restaurants. Or, in the case of Gale and Gunn, facing life’s more daunting challenges but still happy to be together. For 57-year-old Jennifer Gorman, time with her mother, 90-year-old Flora Udwin, often means gardening. Gorman still remembers the abundant roses her mother cultivated in their Zimbabwe homeland, where Jennifer was born and raised. Now both Gorman and Udwin live in the United States, Gorman in Newton and Udwin in Canton. Every spring, Gorman takes her mother to a local nursery and they carefully choose flower seedlings and plan the garden that Udwin will plant in her garden plot at the Orchard Cove retirement community. It’s a ritual that brings both women joy: Gorman because of its ties to her childhood and Udwin because even though roses may be beyond her current botanical reach, she still loves to spend time digging in the dirt. Pam and Emma Ely of Carlisle prepare a meatloaf. Like generations of mothers and daughters, Pam and Emma Ely of Carlisle cook together. 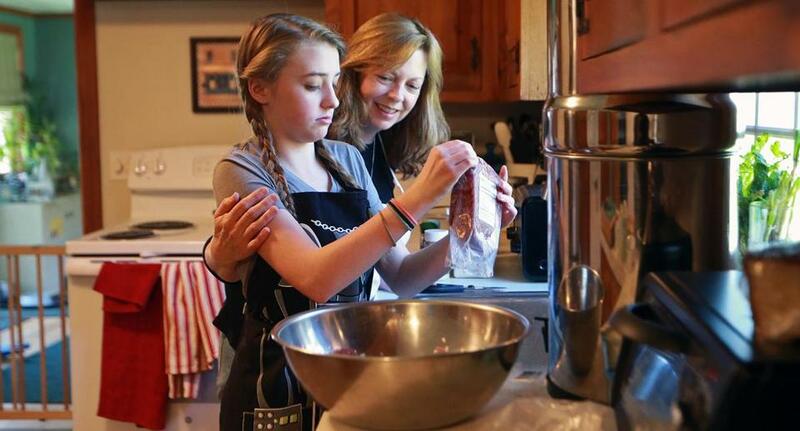 Thirteen-year-old Emma’s recollections of preparing ingredients by her mother’s side are among her earliest memories. But in their case, it’s not just for the enjoyment of creating delicious confections or elaborate meals. Emma was diagnosed with celiac disease at the age of three and has since then discovered she is allergic to corn and dairy, as well as gluten. Together, Emma and Pam are constantly testing and sampling new recipes that meet Emma’s dietary restrictions, and figuring out ways to integrate those special recipes into family menus. Cooking is a special time for Emma and Pam, but Pam puts a priority on regularly finding time to spend alone with each of her four children. Nick Ely, 16, is a competitive dancer, and he and his mother have spent hours talking and catching up with each other during their many hours of drive time to and from the dance studio and competitions. Pam’s 12-year-old daughter Anna, an animal lover, takes care of sheep, pigs, chickens and other livestock at area farms, and Pam often accompanies her on her rounds to various barns and pastures. Rachel, 9, likes to bring homework or art projects into Pam’s home office and just enjoy her mother’s company while the two work side by side. From left, Bashawn Thorell her daughter Emma work out with Breigh Christopher and her mother, Jenn, at Seaside Crossfit in West Wareham. 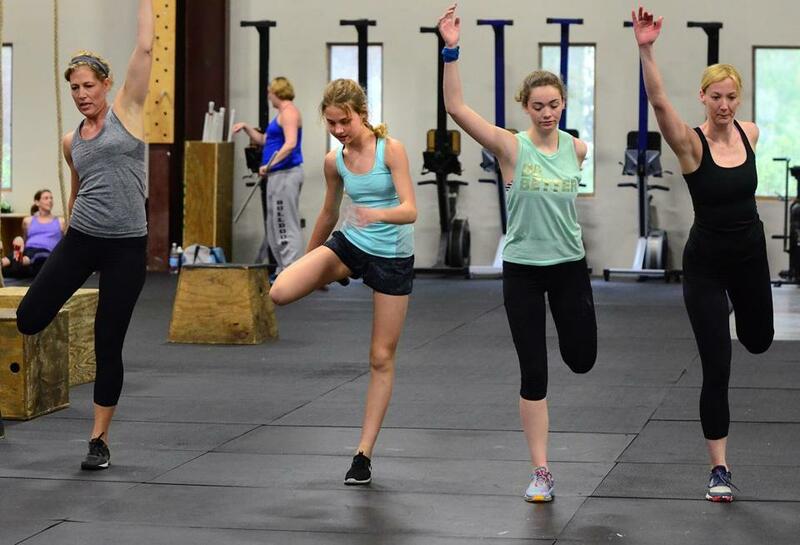 As co-owner of Seaside Crossfit in Wareham, Jenn Christopher always welcomes the sight of mothers and daughters arriving together for a workout. In fact, Christopher herself is part of a mother-daughter workout duo at the gym; her 13-year-old daughter Breigh stops by after school regularly for classes and training with her mother. Sherri Cobb and her mother, Janet Fitzpatrick, both of Wareham, have worked out together with Christopher for years — and sometimes a third generation, Sherri’s 18-year-old daughter Makayla, joins them as well. Getting out of town together is a popular pursuit for many mothers and daughters — not only because it’s fun but because the escape factor can grease the wheels of intimate conversation. “At home, when I try to talk to her, she sometimes rolls her eyes, but when we’re away in a special mother-daughter space we can be silly and open,” said Kelley Hurley, a public school teacher in Woburn, of the yearly trips that she and her daughter Ali, now 17, take to New York City every year with Ali’s best friend Addie Santello, of Arlington, and Addie’s mother, Sandra Miller. Deborah Bernat and her mother, Frances, are working on a genealogy together. Deborah Bernat of Natick and her 83-year-old mother, Frances, have lately been spending quality time together putting together a genealogy of their extended family. For Gina Botticelli-Amico of Reading and her daughter Gabrielle, mother-daughter bonding time has special resonance. Even 20 years after Gabrielle’s birth, Gina can never forget that the daughter she so desperately wanted struggled during infancy, having been born with a heart defect and undergoing open heart surgery at 6 months old.